An essential new account of some of the most valuable research and development in international military history. 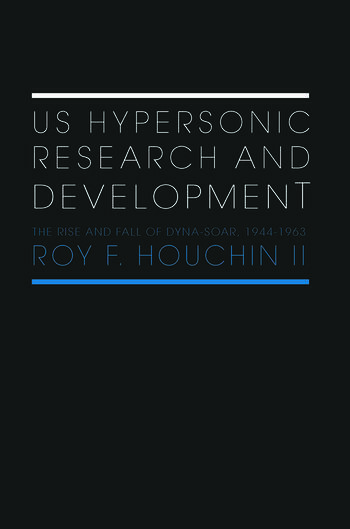 Roy F. Houchin II shows how the roots of US Air Force hypersonic research and development are grounded in Army Air Force General Henry H. 'Hap' Arnold's identification of the need for advanced airpower weapon systems to meet the anticipated postwar enemy threat. The technology for a smooth transition to military spaceflight seemed within reach when Bell Aircraft Corporation executive Walter Dornberger (the former commander of Nazi Germany's V-2 rocket research) made an unsolicited proposal to William E. Lamar (the chief of Wright Aeronautical Development Center's New Development Office of the Bomber Aircraft Division at Wright-Patterson AFB, OH) for a hypersonic boost-glide weapon system. Visionaries like Arnold, Dornberger, and Lamar believed a hypersonic boost-glider would represent the ultimate expression of the US Air Force's doctrine by performing strategic bombardment and reconnaissance more successfully any other type of vehicle. As this aspiration reached maturity in Dyna-Soar, the service's leadership never gave up their beliefs. This book shows how the struggle to persuade the secretary of defence and his advisors, who did not share the Air Force's vision for a military spaceplane, illustrates the ebb and flow of an advanced technology program and its powerful legacy within American society.